A photo of Alija Izetbegovic, who served as president of Bosnia during the war, and who resisted Western efforts to force him to agree to demands from Serbia and Croatia to carve up the country. 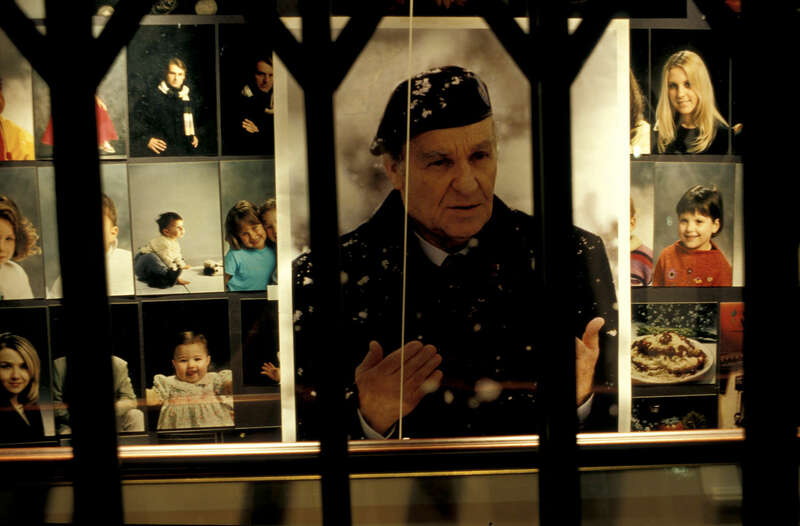 After his death in November, 2003, photos of Izetbegovic in his trademark beret sprang up all over Sarajevo, and remained in place months later. March 2004.